Microsoft Build kicked off in Seattle this week with Microsoft’s CEO Satya Nadella leading an on-stage charge into new cloud services. Azure received a number of new products during the keynote, including new support for MySQL and a world-spanning database called Cosmos DB. Nadella kicked the show off with a demonstration of Microsoft’s industrial Internet of Things solutions for developers, Azure IoT. Using Azure’s IoT tooling, developers can build reactive applications to do things like kicking off an emergency shutdown or predicting maintenance of factory devices. The Azure IoT Edge system also allows for easier management of edge devices and the ability to push updated software to them through a web interface. “When you have lots and lots of devices in the same place, an ad hoc data center gets created nowadays, on a factory floor or in the home. For that, we have Azure Stack so you have the computation, the storage capability. You have the ability to run the cognitive services, things like computer vision on a commodity camera,” said Nadella. Behind all of these new devices, of course, is a lot of data. Microsoft has a solution for that data, as well. Rimma Nehme took the stage during the keynote to demonstrate Azure’s latest database addition, Cosmos DB. This multi-function datastore is a globe-spanning distributed database capable of handling key-value pairs, documents, graphs and column family data. 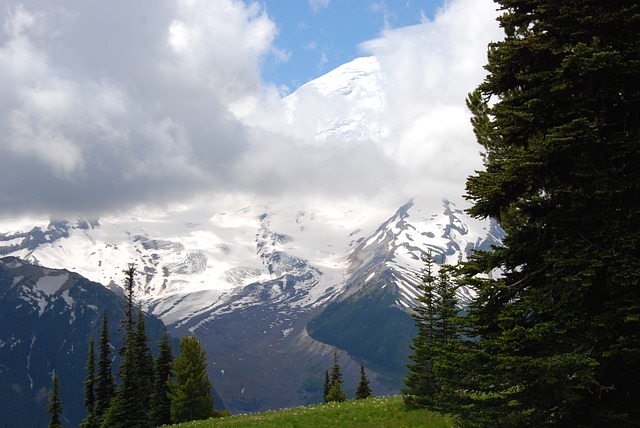 “Imagine you want to build a planet-scale intelligent app with users worldwide. It has to be super fast, it has to be incredibly elastic, and it has to be available all over the world,” said Nehme during the keynote. She then went on to demonstrate building an application around the Marvel comics universe, demonstrating the numerous interpersonal connections between characters. 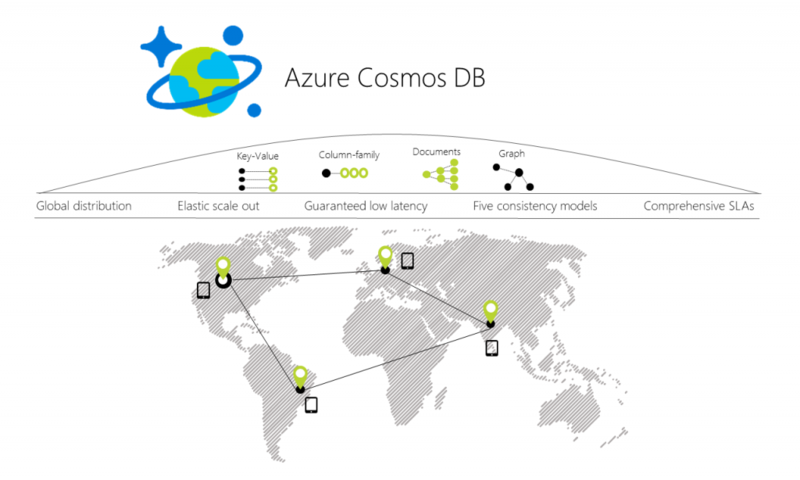 Creating a new Cosmos DB, said Nehme, can be done through the same point-and-click interface used to launch most Azure services. Upon launch, developers can choose from two APIs: MongoDB’s or SQL. Nehme said that Microsoft is also releasing preview APIs today for graph and key-value storage. The Azure Portal includes further controls and tools for Cosmos DB. This includes a web-based data exploration tool, which allows developers to visualize the connections between information. Cosmos DB can be spread across nine data center regions, and users can target reads and writes each to individual regions. “I can answer any of my graph queries worldwide with less than 10 milliseconds read latency guaranteed. The key message is that regardless of the data model, regardless of the API you are using, regardless of the data distribution or even the failures, we continue providing you with a single system image for all of these globally distributed resources worldwide, so that you developers can concentrate on your applications, not on the database behind them,” said Nehme. Consistency is another big strong point for Azure Cosmos DB. Nehme said that, instead of offering only strong or eventual consistency models, Cosmos DB offers five different consistency models. This includes three intermediate consistency models: Bounded Staleness, Session, and Consistent Prefix. Microsoft also broke some cloud provider traditions by announcing that its service level agreements around CosmosDB will cover more than just availability. In fact, Cosmos DB guarantees latency, throughput, consistency, and availability to 99 percent uptime through a set of new SLAs covering all of these factors. Bolstering its database offerings were two new Azure services, as well: MySQL and PostgreSQL as a Service. These two database offerings are now available for Azure users, broadening the options for developers who might not yet be using SQL Server. To top it all off, Microsoft announced the availability of the Microsoft Azure SQL Database Migration Service, which allows developers to move their existing databases into Azure SQL Database. 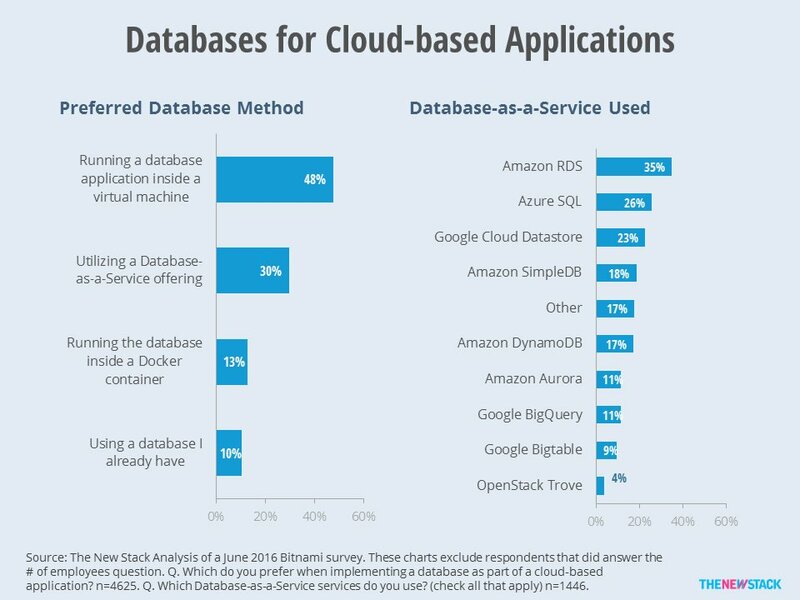 This service covers Oracle and other SQL-compatible databases.